Big shout out to Brussels! How do you feel about coming to an 80’s disco? Doing the Rubik’s cube, drinking cocktails with Tom Cruise, dancing to Eurythmics or becoming Madonna...The Kidsgazette team is putting on a great show for you. At 3.30 the SYSMO GAME will set things on fire just like it used to! Does that do it for you? We’re waiting! 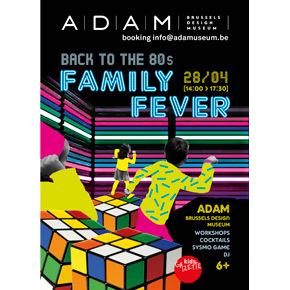 Sunday 28 April (14.00>17.30) at ADAM - Brussels Design Museum. Bonus visit to the exhibition NIGHT FEVER - Designing Culture 1960 Today. Reservations here. Download kidsgazette 21. Stay informed through our facebook page. Kidsgazette 22 is coming out on 23 April !!! 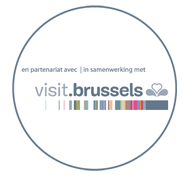 From 15 to 21 April, acrobats, trapeze artists and jugglers are taking over the streets of Brussels. An unmissable Festival, building links between citizens and circus arts. More info, here. The marvelous story of a little girl entering a beauty contest. A hilarious crazy road movie about families and the American Dream. Unmissable. More info, here. Immerse yourselves in the universe of Serge Delaunay and André Robillard and assemble a galactic creation together. Wonderfully inspiring for 4 to 12 year olds. Museum Art & Marges, 10/04 (14.00>17.00. More info, here. to the performance of the show Jusque… là-bas. Maude, Nino, Solange and Timothy, 12 years, discover an abandoned shack a little way from a working shipyard. It’s a chance to realise their long-held dream to enjoy a total liberty away from their life as schoolkids. The pre-teens recreate society – its rules, taboos, morality and adults… Friday 26 April (20.00). At Petit Varia. In French. 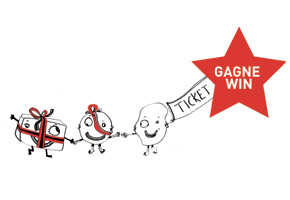 Win invitations by contacting us before 21 avril, at info@kidsgazette.be. More info, here.